On successful completion of the design process, you are now ready to have your garden built. All our work is completed by experienced in-house teams working to recommended industry standards to deliver top-quality work and total client satisfaction. All our work comes with a twelve-month guarantee subject to the associated terms and conditions. As current members of the APL (Association of Professional Landscapers), we are legally compliant and are inspected regularly to make sure that we maintain a high standard of workmanship. 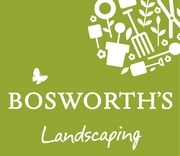 We are also accredited landscape and driveway installers with Marshalls and Bradstone, which means that we come recommended by them and also get to use their full range of paving products not available to non-members and backed-up by their very own installation and material guarantee. Contact us for a free quotation and an up-to-date brochure/catalogue of the latest paving products.